TSLL Celebrates 9 Years Today! It was nine years ago today that I spent an entire day walking and working with the thoughts in my mind and finally deciding to let them lead me. They led me, on that particular day in 2009, to the laptop where the first blog post was written as an avenue of self-exploration and self-expression. I have shared in my first book the specific motivations for what occurred on that particular day, and it is most definitely an understatement to not have known what could have transpired nine years on. TSLL blog has grown in large part thanks to readers like yourself who stop by seeking ideas and inspiration to live a life you love living each and everyday. A life that enables you to find true contentment as you step into your full potential and share with the world what only you can uniquely give. It has also grown because readers share what they love with friends, family and co-workers, and such generosity, as I have always said, is the grandest compliment. So I thank you. I thank you for your time, I thank you for your continued interest, and I thank you for your continued curiosity to to continue to learn not only about this grand world we live in, but about yourself. I too am learning continually, and because of this way of living, life, I have found, is far more extraordinary than I could have ever imagined. I hope it is the same for you as well. As the blog heads into its 10th year, I am looking forward to deepening what has been built, focusing on what is unique and loved about TSLL’s destination, and instead of adding more “extra”, creating more engaging, excellent quality content for readers, such as yourself, to enjoy and apply in your own life as you are inspired. What does that mean specifically? Season 5 of The Simple Sophisticate podcast continues (check out the top 5 episodes of 2018 here), and look for the first new episode of 2019 to air on Tuesday January 1st. The weekly TSLL newsletter sent to subscribers each Friday morning to keep you up-to-date and in the know, saving you time and ensuring you do not miss a single post or any TSLL news. The 9th season of TSLL included a most memorable month-long trip to France (check out TSLL on IG, #tsllfrance2018, and view the 10-Part Highlights of IG Stories as well), the series premiere of TSLL’s Cooking Show – The Simply Luxurious Kitchen, and of course, the release of TSLL’s 2nd book – Living The Simply Luxurious Life: Making Your Everydays Extraordinary and Discovering Your Best Self. Many readers, especially new readers to the blog and readers new to TSLL destination who I have met at book signings, have asked what the difference is between my first and second book, which is a great question and I answer it in detail here (scroll to the middle of the page) so you can decide which book you would like to read first or only depending upon where you find yourself along your life journey. And speaking of my new book, Kimberly Wilson of Tranquility du Jour invited me on her podcast to talk about it earlier this week. Our conversation is over 40 minutes long, and it is the first time I share in an interview more specifics on the chapter dedicated to “Making a Fresh Start”. We also talk about style, our individual journeys, and much more. Have a listen here. Thank you for stopping by today, and may this final week of 2018 be wrapping up with a feeling of satisfied closure, appreciation, and excitement for the new year. If you were celebrating the Christmas holiday over the past few days, I hope your gatherings creating beautiful memories not soon to be forgotten. Below, a moment and a reminder of a beautiful, quiet Christmas Eve dinner spent with my parents as I previously shared on Instagram. With dinnerware from my Great Aunt, a decanter given to my parents as a wedding gift, a dining table and chairs purchased by my grandparents for my great grandparents 50th wedding anniversary, table linens from my recent excursion to Provence and a room where I have spent many holidays, the dinner was truly simply luxurious. Wishing you a lovely 26th day of December. Bonne journée. Thank you for a year of discovery and enrichment as I am a fairly new subscriber to your blog. Wishing you Happy Holidays and an exciting, splendid 2019! Congratulations!! Thank you for all the hard work you have done to make your blog informative, enjoyable and always something to look forward to. May 2019 be a blessing to you and all your readers. 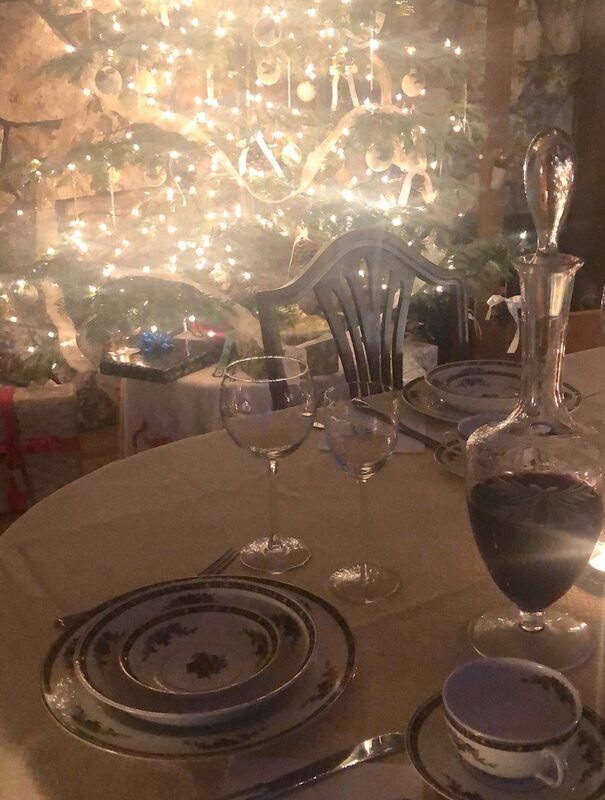 That table and tree are so beautiful, I got choked up! I hope you had a happy Christmas and wishing you a bright new year! I look forward to what you have in store for us this year, and just thank you! Shannon, You are cherished for your work and your thoughtful sharing of it. I enjoy your posts, blog and podcasts. Looking forward to this year with all of it! I found you and followed you this past year or so. I have thoroughly enjoyed the podcasts and YouTube that I have listened to along with the newsletters. Yeah, nicely done. Many congratulations Shannon! I hope you have a wonderful Xmas and I’m excited to continue reading your blog next year. Thank you very much! I am quite excited to next year as the ideas are ready to be shared! 🙂 Happy new year to you and thank you for stopping by. Merci Kameela. Your engagement and time is greatly appreciated. A happy new year to you as well! Shannon, it’s been wonderful following you for the past few years. Always inspirational and thought provoking. You have inspired me to chart a new path of my own. Wishing the very best in 2019! Happy Birthday to your beautiful blog ! 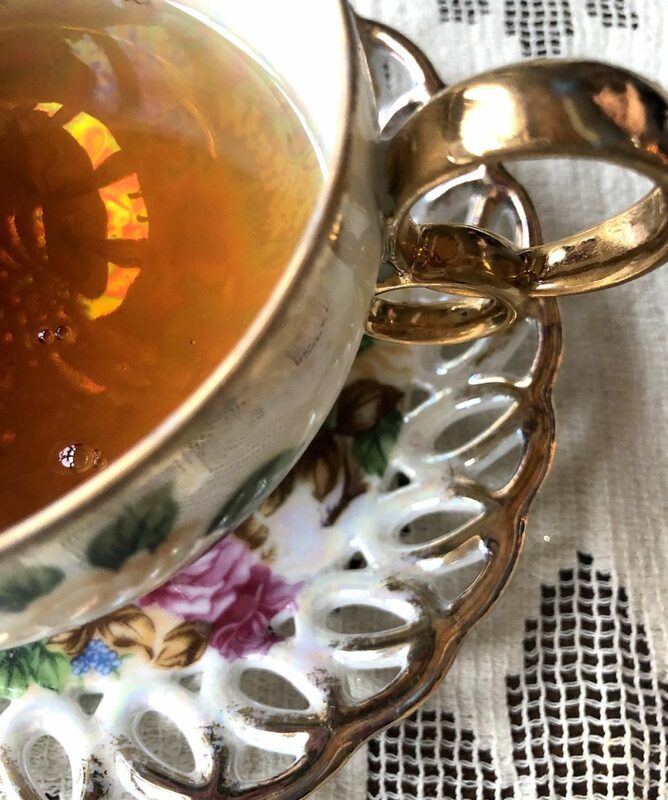 Thank you for all the years of inspiration and delight you have brought to us through your blog posts and podcasts Shannon , and for sharing the photograph of such a lovely Christmas moment with us. Thank you for enriching my life thru your blog. I wish you every continued success.